When a choice of ingredients is given, the analysis reflects the first ingredient listed (i.e., not the alternative ingredients). Optional ingredients listed in the main ingredient list ARE figured into the analysis. Options given in the VARIATIONS section are not figured into the analysis. Recipe declarations such as low-fat or non-gluten only apply to the original ingredient list (first ingredient listed) without optional ingredients, and not necessarily to any of the other options or variations. As a general rule, I support individual creativity in cooking, therefore, I urge you, the reader, to alter recipes to suit your needs/wants. 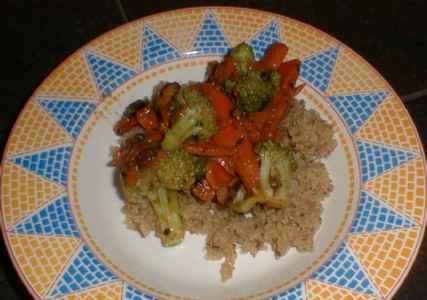 For example, I often substitute ingredients or just leave things out if I do not like them or do not have them on hand. Additionally, people have different tastes for saltiness, sweetness, and richness, so feel free to change ingredient quantities to fit your tastes. Lastly, if you have an allergy or sensitivity to one of the ingredients called for in a recipe, try to think of a replacement (or just leave the ingredient out) to make the recipe fit your needs. I recommend the use of organically grown ingredients (i.e., food grown without chemical fertilizers or pesticides) when ever possible as I have found organic produce and staples to have substantially more flavor than conventionally grown items. Additionally, there are studies which have shown that organically grown food has more nutrients that conventionally grown food. In all the recipes in this book, I try to call for the use of entire vegetables. For example, with onions, if at all possible, I call for the use of whole numbers of onions, instead of halves of onions. I have found this to be the best way to use vegetables so that leftover cut pieces do not sit around getting old (exposed to the air, losing nutrients) before they are used in some other dish. The menus listed at the end of this cookbook are composed to represent all of these important dietary components (with the exception of fruit, which is often eaten on its own, rather than with a meal). See the discussion on "Menu Composition" in the Menu chapter for more about composing meals. Beans should never be cooked with salt (or any salty ingredient) or anything acidic (like tomatoes, vinegar, or lemon juice) because these substances make the outer coating of the bean tough, so the bean will never get soft because the water can not penetrate the coating around the bean. Before soaking or cooking, all beans should be sorted (to remove large foreign particles like stones) and washed (to remove fine dirt and dust). See "Washing Grains and Beans" below for further information. For time savings, and to ensure properly cooked beans, I prefer a pressure cooker, although this is not necessary to get properly cooked beans. For long and medium term cooking beans (such as garbanzo beans and navy beans), soak for about 12 hours before cooking. Short term cooking beans (such as lentils and adzuki beans) do not require soaking. Cook beans with water in a 1:3 ratio (1 cup dried beans to 3 cups water), and cook until they are soft, but not so mushy that they loose their structure. Cooking beans with a small piece (about 2 inches) of kombu (a sea vegetable) will help the beans be more digestible. After the beans are fully cooked is the time to add salt (and also acidic ingredients if desired). A simmer plate is a metal disk (with about the same diameter as a large pot) which is placed between a stove top burner and a pot. The simmer plate absorbs the heat put off by the burner flame or burner coil, and distributes it evenly over the entire simmer plate thus avoiding hot spots on the bottom of a pot. Because it distributes the heat move evenly over the entire area of a pot/sauce pan bottom, it helps avoid burning foods. This particularly applies to cooking grains (such as rice, millet, and quinoa) where you want to cook the grain at a low temperature for a long period and all the liquid will be absorbed. This can also be helpful for cooking beans. Saute in a little oil (as directed), so that the oil lightly glazes all the items (vegetables), under a medium to medium-high heat. The word seal refers to the effect that the oil and heat have on the vegetable; It is "sealed" by having a light coating of oil cooked around it, sealing in the flavors and juices. A sealed vegetable usually takes on a brownish tinge (it is partially "roasted"). Usually, items (vegetable) are sealed one at a time, starting with the longer cooking vegetables which do not readily absorb oil. Therefore, oil is the first ingredient into the pan after which the first ingredient (vegetable) is added, and mixed to distribute oil evenly over all pieces. These pieces should be sauteed/sealed for a few minutes before the next vegetable is added, thereby allowing the pieces to develop a rich flavor, and have these flavors sealed in. When the next ingredient is added, it should be gently mixed to allow the oil on the first ingredients to spread on to and cover this new ingredient. Items should not be added too quickly in succession or the pan can get over loaded with raw ingredients, and the flavor of each ingredient will not develop as richly as possible. Toast nuts or seeds on baking sheet in a 300 degrees F (150 degrees C) oven for about 15 minutes. Mix nuts on sheet, and continue to bake, watching to make sure they do not burn. The total amount of time needed depends on the type of nut (pine nuts toast very quickly, whereas almonds take longer), and on how toasted you want the nuts. I toast them on a low temperature because most nuts, when they are near done, go quickly from light golden brown to burnt. A lower temperature slows down the process, reducing the chances of ending up with burned nuts. If seasoning the nuts with a salty liquid like tamari soy sauce or ume vinegar (see "Glossary of Ingredients" for more information about these ingredients), splash this over the nuts near the end of toasting, mix thoroughly to coat all nuts, and then if needed, bake a few more minutes to dry the nuts out again. If glazing the nuts with a sweetener (such maple syrup and/or sucanat) (which is obviously best for desserts) and/or with a liqueur (like Sambuca), follow the same directions as for a salty liquid, but do not expect them to become as dry in the oven if using significant quantities of liquid sweetener (in drier climates, they will dry out completely when they sit outside the oven for a while). If the nuts are very sticky, and the glaze will not "dry", you can place the nuts in the refrigerator (on a parchment paper covered baking sheet) to "dry/"freeze" the glaze onto the nuts. Another option for toasting and glazing is described in the recipe "14-Frangelico-Glazed Toasted Hazelnuts". 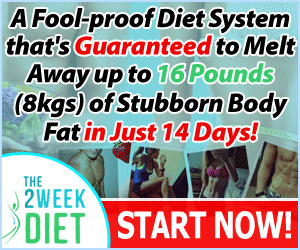 * Percent Daily Values are based on a 2,ooo calorie diet. Adzuki beans (also azuki or aduki) are small oval-shaped beans with a deep reddish burgundy color used commonly in Japanese cooking. These beans accommodate salty and sweet flavors. They are short to medium-term cooking beans, taking about i to 1.5 hours to cook. Like all beans, it should be carefully washed/rinsed before cooking (see "Glossary of Cooking Terms" for more information). Agar agar (Kanten) is a vegetable gel used as a vegetarian replacement for gelatin. It is made by boiling sea vegetables, pressing it into a gel, and then drying it into flakes. Agar comes in bar form, flake form, and powder form. The flake form is the most common, and the recommend form for the recipes in this cookbook. If you use powder, and the recipe calls for flakes, use a smaller amount; e.g., if the recipe calls for b teaspoons of agar flakes, use 2 teaspoons (or a little less) of the agar powder. Agar flakes dissolve in hot liquids and thicken as they cool to room temperature or below. General preparation to gel a liquid goes as follows: Add 4 tablespoons of flakes to 4 cups or fruit juice or other liquid and let the agar sit on the top of the liquid for 5 or more minutes. Then bring to a boil, reduce heat and simmer 5 minutes or until dissolved. Cool until firm. This natural sweetener is extracted from the pineapple-shaped core of the blue agave (a cactus-like plant native to Mexico best known for its use in making tequila). A 9B% fruit sugar content allows agave nectar to absorb slowly into the body, decreasing the highs and lows associated with sugar intake. Also, because fruit sugars are 25% sweeter than sugar, you use less. It has a very neutral taste. A sea vegetable - the most mildly flavored of sea vegetables. A good introduction sea vegetable since it only has a mild sea/fish flavor. As with all sea vegetables, it is a nutritionally dense food that is high in mineral and trace elements. This natural sweetener which is made from sprouted whole barley, and made basically the same way as brown rice syrup (see below). Barley malt syrup does have more of a flavor than brown rice syrup: barley malt syrup has a flavor more like molasses, while brown rice syrup has a flavor more like agave nectar or honey, but with a slightly bitter edge (similar to butterscotch). You can substitute one sweetener in place of the other keeping this flavor difference in mind. The caramel-flavored syrup is about half as sweet as sugar or honey. It is high in carbohydrates, and is generally the least expensive natural sweetener. GLUTEN NOTE: Barley malt syrup contains gluten, so if you are avoiding all gluten, simply replace barley malt syrup with brown rice syrup. A natural sweetener similar to barley malt syrup. Brown rice syrup contains complex sugars that are not hard on the body/blood sugar levels. It is my absolute favorite sweetener because it has the mildest flavor (not as strong as barley malt syrup), and its pH is closer to our bodies' pH than any of the other sweeteners, making it the most gentle on the system. It is about half as sweet as maple syrup and granulated sugar. Often times I "balance" brown rice syrup with maple syrup in a recipe because brown rice syrup all by itself has a slightly bitter butterscotch flavor, so I like to round out that flavor with the straight sweet flavor of maple syrup. It is not suitable for use in cakes because it causes the cake to become too dense and sticky. Coconut oil is a saturated fat, but the unrefined version (which you never find in commercial baked goods - they use the refined type) can be part of a balance diet. It does not contain any trans fatty acids (TFAs) like hydrogenated oils do. It is a source of Medium Chain Triglycerides (MCTs), which are especially valuable to people who have trouble digesting fat. MCTs enable the body to metabolize fat efficiently and convert it to energy rather than storing it as fat. Additionally, almost 5o% of coconut oil's fatty acid content is lauric acid, a disease fighting fatty acid not commonly found in plant sources. Coconut oil is particularly good in desserts that traditionally use butter (also a saturated fat) such as cookies and pie crusts. It gives the cookies a wonderful texture with less oil than if you used an unsaturated oil (like canola oil). See "Mail Order Companies" at the end of the cookbook for sources of unrefined coconut oil (some of which are also organic). Generally, vegetable shortening (in its non-hydrogenated state) (see below) can be used in place of coconut oil. Additionally, you could use walnut oil or safflower oil or canola oil as a substitute, but the result will not be quite the same since it will not provide that saturated fat quality. Used traditionally in African and African-American cooking, I find this strong green best when quick cooked (e.g., sauteed) rather than boiled. A slightly stronger flavor than kale. It can be used in place of kale. This green beats all other vegetables on nutrition. A thin paper-like dough used for savory dishes (see "Greek Spinach Pie") and desserts (see "Orange Custard in Filo Cup"). It is low in fat, and can be used to enhance the presentation of dishes, particularly by making filo sheets into cups. These cups can be filled with any number of foods like: "Gingered Fruit Compote", any type of bean dip (like "Adzuki Bean Dip"), side salads (like "Asian Sweet Potato Salad"), side vegetables (like "Spiced Butternut Squash Puree"), pie fillings (like "Hazelnut Pie"), or custards, puddings, or mousses (like chocolate mousse - see "Chocolate Cream Pie"). The first way to make filo cups involves the use of a muffin tin. Fold one sheet of dough so that it covers one cup on the muffin tin (approximately a square), with about 1 inch to spare on all sides. Lay folded sheet into muffin cup, pressing down so the center of the sheet is touching the bottom of the cup (the overall effect is to create a cup shape with the dough). Repeat for as many cups as needed, and bake in the muffin tin for about 5 minutes at 35o degrees F (175 degrees C) or until cups are crisp and lightly browned. The second way to make filo cups does not require a muffin tin, but a baking sheet. This method is best done when the filling to be put into the cups can be heated, as cups are best made around the filling, and then briefly baked. As before, fold a filo sheet (or multiple filo sheets if you want to create a more substantial cup that will hold more or heavier fillings). Lay folded sheet on a baking sheet, and place some filling into the center. Then fold the outer filo up to make a wall around the filling. Repeat for as many cups as needed, and bake for about 5 minutes at 35o degrees F (175 degrees C) or until cups are crisp and lightly browned. GLUTEN NOTE: Filo is made from wheat flour, so it does contain gluten, so if you are avoiding gluten, do not use this ingredient. To make fresh ginger juice, take fresh whole ginger root pieces and grate them. (Asian groceries often sell purpose-made ginger graters.) Then press the juice out of the pulp. Alternatively, run ginger root through a juice (as you would carrots). If ginger juice is to be stored for more than 5 days, add some lemon juice to the ginger juice to help it keep. Place it in a sealed bottle in the refrigerator. It should keep about 5 days without lemon juice, and about io days with lemon juice (or something acidic). A half cup of fresh whole ginger root pieces makes about 3-4 tablespoons of ginger juice. A teaspoon of dried, powdered ginger can be used in place of a tablespoon of fresh ginger juice, but the flavor will not be quite the same. This winter green is related to cabbage, and may be the oldest known green. Similar to collard greens, which can be used in its place. I prefer it quick cooked and it is nutritionally superior to most all other vegetables. This variety of seaweed is most commonly used as a flavoring (as in soup stock). It has a mild flavor compared to most seaweed. Kombu often is used in cooking beans and seitan, since it improves the flavor and digestibility of those products. Generally an optional ingredient. + Kombu a wide variety of foods, added to soups, stir-fries, or vegetable dishes. As a flour, substitute mesquite meal for about one third of the flour in your recipes. See "Mail Order Companies" in the Epilogue for information about finding mesquite meal. Millet is a small, yellow, bead-like grain which has a mild, nutty flavor and fluffy texture. The earliest mention of millet comes from China, dating back to about 28oo B.C., and referred to as a "holy plant". It grows with very little water and poor soil. Millet cooks similarly to rice, but likes more water, with a 3 part liquid to 1 part millet ratio. It cooks in 4o minutes on the stove top, and 2o minutes in a pressure cooker. Like all grains, it should be carefully washed/rinsed before cooking (see "Glossary of Cooking Terms" for more information). 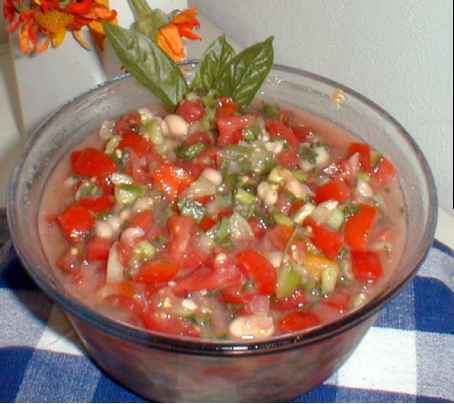 It can be used as rice and in stuffings, soups, and puddings, as a topping for salads, or as hot breakfast porridge. It can be ground in flour and used in baked goods. A fermented paste made from beans and/or grains and salt. It is a remarkable digestive aid. It is used mainly as a flavoring agent in soups and sauces. Tamari Soy Sauce can be used in its place, but the flavor will not be as deep, and rich. GLUTEN NOTE: If you are avoiding gluten, be sure to select misos that do not contain wheat or barley. Nutritional yeast is a flavorful "cheesy" tasting powder or flakes which is grown as a food and food supplement. It is concentrated in amino acids and B vitamin complex. It is not a by-product like "brewer's yeast" (from the beer industry). GLUTEN NOTE: In the past, oats (all types) have been thought to contain a type of gluten that was not healthy for people allergic to gluten (e.g., people with celiac disease). Current studies have shown that this may not be the case, and now the general feeling is that oats are OK for people avoiding gluten. (You can find more information about celiac disease, and foods that contain gluten, at http://www.celiac.com/ .) 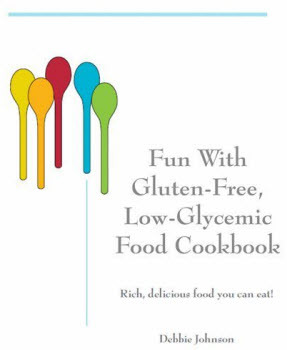 I have marked all recipes in this cookbook that contain oats with a warning about gluten for people who do want to be extra safe and avoid oats. Pine nuts are small tear-drop-shaped nuts with significant amounts of vitamin A, thiamin, riboflavin, and niacin. They puree well in water to make a very creamy milk. Pine nuts are one of the best (if not the best) nut for making rich vegan ice cream. NOTE: The down side is that some batches of pine nuts can be rather smoky, and this smoky flavor is not desirable in ice cream (especially ones with subtle flavoring such as vanilla or peach). I have been able to successfully use smoky pine nuts in ice creams that contain other strong flavors (e.g., in an amaretto ice cream or cherry-chocolate chunk ice cream). I am not sure if the smokiness comes from the processing of the pine nuts, or is just a characteristic of some pine nuts, but in any case, I advise cooks to check their pine nuts, and if they are too smoky, I would be hesitant about using them to make ice creams. In general, smoky pine nuts work wonderfully in savory dishes such as "oB-Creamy Mushroom-Sweet Potato Soup" or "o2-Sweet White Bean Dip". (1) Take garlic cloves out of the papery skin. Place garlic cloves in bowl, and drizzle with olive oil. Toss and add a little salt; toss again. Place on a baking sheet and bake at 350 degrees F (175 degrees C) for about 15 minutes mixing on the sheet once during the baking. Watch them late in the baking so they don't get over browned/ burned. If they are not soft, continue to bake. Remove from oven. (2) Take an entire head of garlic and cut off the tips of garlic cloves (about 1/6 of the top of the head). Drizzle 1/2 teaspoon of oil on cut top, and coat the oil around as much as possible. Wrap head in foil, and bake at 350 degrees F (175 degrees C) for about 45 minutes (until garlic cloves are soft). (l like to bake more than one while I am at it.) Squeeze soft garlic cloves out of the papery skin. - If you are making roasted garlic paste, puree the baked cloves in a food processor. - The flavor of the garlic is significantly mellowed by this roasting process, although it is still very flavorful. This paste is delicious added to sauces, soups, pates, or sautes. It is also good as a spread directly on rice cakes or crackers. 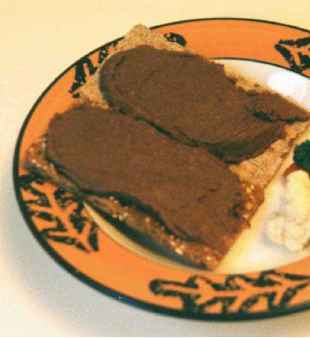 Seitan, also known as "wheat meat," is a fat-free food that is high in protein and a good meat substitute (including in place of poultry). It has a delicious flavor, a meaty texture, and is very filling. It is usually made exclusively from wheat gluten (the high protein part of the wheat berry), so for this reason, I recommend it in limited amounts in the diet since gluten is often energy dampening. GLUTEN NOTE: People sensitive or allergic to wheat should avoid seitan altogether. Spelt is a primitive form of grain that is related to wheat. The berries can be cooked (kernels have a sweet, nutty taste and rice-like texture) or ground into flour and used in place of wheat flour. GLUTEN NOTE: Spelt does have as much gluten as wheat, so if you are avoiding gluten, you should be avoiding spelt. Some people who have wheat sensitivities or allergies can tolerate spelt, but spelt still has high amounts of gluten. Stevia is a herb native to South America. What makes it unique, is that a very small amount of it is very sweet, and it has no sugar (carbohydrates) or calories. For cooking, it is used as a sweetener. White stevia powder is very concentrated, 200-300 times sweeter than sugar. Stevia is not widely used in the U.S. due to political reasons. Because it has no sugar, stevia is recommended by the governments of Brazil, China, and Japan for use by hypoglycemics and diabetics. Stevia is also anti-fungal, making it ideal for individuals with yeast conditions (candidiasis); this natural sweet-tasting herb satisfies the desire for a sweet treat without feeding the yeast. Stevia can be difficult to use because it does not have the same effects as other sweeteners (such as, sugar (e.g., sucanat), maple syrup, or agave). Other sweeteners make cakes moist and light, and stevia will not. Other sweeteners add crispness to cookies, and stevia will not. Other sweeteners will add a kind of "caramel" type flavor and color when they are baked/cooked, but stevia will not. Therefore, if stevia is used in a dish, and some of these qualities are needed in the dish, other ingredients will have to provide them (e.g., baking powder for rising, fruit purees for moisture, extracts/flavoring for flavor, etc.). Stevia is sometimes blended with a filler to reduce its concentrated sweetness. Different extractions of stevia vary as to their sweetness, but roughly 3 teaspoons of blended stevia (that is, blended with a filler such as eryhritol, a natural crystal granulated filler from fruits and grains), or 3/8 teaspoon of white stevia powder (pure steviosides, not blended with a filler), is equal to 1/4 cup of sugar. The one down side to stevia is that it has a slightly bitter edge to it, so it is not well suited to all dishes. - It can work well with fruits where the fruits are providing a significant amount of the sweetness, and the stevia is just to enhance it slightly. Overall, I have found stevia best matched with acidic fruits and bitter foods like chocolate or coffee (or coffee substitute) where the bitter edge of the stevia can work with the other flavors. "Turbinado Sugar" which are basically just white sugars. It equivalent to granulated sugar or brown sugar, and can be used in the exact same proportions (1:1). A version of soy sauce that is made without wheat. It has a rich flavor. 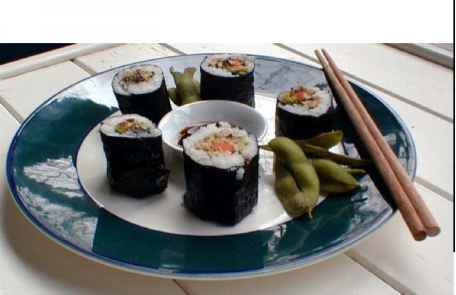 Any type of soy sauce can be used in its place if you are not worried about the gluten content. 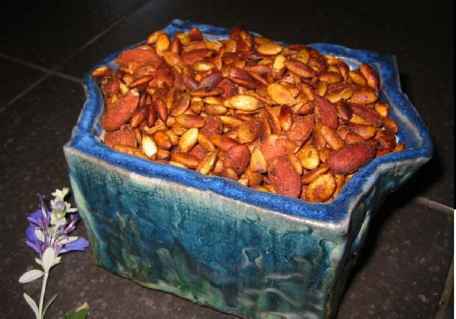 It is wonderful for seasoning toasted nuts and seeds (see the "Glossary of Cooking Terms" for more information on how to use this on toasted nuts and seeds). Tapioca Flour (also called tapioca starch or tapioca powder) is a common ingredient in non-gluten baked goods. Tapioca Flour is a starch extracted from the root of the tropical cassava plant (also called manihot or manioc or yucca). Tapioca Flour can be purchased in its powdered state or it can be ground. If you don't want to purchase it in powdered state, you can grind it from Pearl Tapioca, but just be sure to use Old Fashion Pearl Tapioca (any size) and not Minute (or Quick) Tapioca since Minute Tapioca has been pre-cooked, and will probably not act the same way in baked goods. The best way to grind the pearls is in small amounts in a coffee grinder. Get it as fine as you can, but it does not need to be as fine as white flour. One of the companies that sells Tapioca Flour is Bob's Red Mill (you can see the product via this URL=https://www.bobsredmill.com/catalog/index.php?action = showdetails& product_ID=384) (more information about Bob's Red Mill is in the Epilogue at the end of this book). Tempeh is a fermented soybean product, native to Indonesia (dating back more than 2ooo years), and is rich in protein. It is more of a whole food than tofu since tempeh is made from whole soybeans. 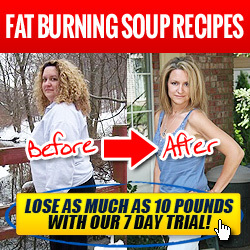 It is made by soaking whole soybeans overnight and then briefly cooking them until they are softened. A dry powder of the mold Rhizopus oryzae is added to the beans, the beans are formed into cakes, and they then sit for about 24 hours. The cakes form very solidly with a chewy, meat-like texture, and have a slightly nutty, smoky flavor reminiscent of mushrooms. Technically not a vinegar since it contains salt, ume (or umeboshi) vinegar comes from the pickling of umeboshi plums. It has a pink color and is very salty (like tamari soy sauce), so it should be used in place of other vinegars carefully or the resulting product could be too salty. It is wonderful for seasoning toasted nuts and seeds (see the "Glossary of Cooking Terms" for more information on how to use this on toasted nuts and seeds). The non-hydrogenated vegetable oil spreads that I have used (one made by Spectrum Naturals, and another made by Earth Balance) are trans fat free, and are stored in the refrigerator. They may contain some saturated fats, but are primarily polyunsaturated fat and monounsaturated fat. They are similar to margarine (but trans fat free), and can be used in the same way as butter and margarine. It is a good alternative to butter. This fat makes much better pie crusts than using liquid oils such as canola or sunflower oil. + Tempeh butter such as cookies and pie crusts. it gives the cookies a nice texture with less oil than if you used liquid oil. You could use canola oil or safflower oil as a substitute for non-hydrogenated vegetable oil spread, but the result will not be quite the same. The non-hydrogenated vegetable shortening that I have used (one brand is made by Spectrum Naturals; and it is also organic) is made of palm oil, and it is naturally solid at room temperature without hydrogenation. it can can be stored at room temperature. Palm oil is not the same as palm kernel oil - palm kernel oil is 86% saturated fat, whereas palm oil is 5o% saturated - palm oil is extracted from the palm's fruit, not its kernel. Palm oil is also lower in saturated fat than butter. While this organic non-hydrogenated vegetable shortening (made of palm oil) does get half of its fat grams from saturated fat, it is not hydrogenated (most standard brands of shortening are hydrogenated) and is trans fatty acid (TFA) free. it is a good alternative to standard shortening. This fat makes much better pie crusts than using liquid oils such as canola or sunflower oil. Similar to coconut oil, a non-hydrogenated vegetable shortening is particularly good in desserts that traditionally use butter (also a saturated fat) such as cookies and pie crusts. it gives the cookies a wonderful texture with less oil than if you used an unsaturated fat (like canola oil). Generally, coconut oil (see above) can be used in place of vegetable shortening. Additionally, you could use canola oil or safflower oil as a substitute, but the result will not be quite the same since it will not provide that saturated fat quality. Refined walnut oil is a good baking oil and you will see it called for in most of the cake recipes. it has a mild nutty flavor. This oil is rich in omega-3 (vitamin F2) essential fatty acids (as is flax, pumpkin, canola, and soy oil). Refined walnut oil can be used for medium-high heat cooking. Store in a dark, cool environment away from light and heat. Spectrum Naturals makes a refined walnut oil. Canola oil can be used in place of walnut oil in any recipe in this cookbook. Unrefined walnut oil is much more expensive and flavorful than refined walnut oil and is best used for drizzling on vegetables, in dressings, and for dipping rather than for baking due to its cost and strong flavor. I especially like bean based appetizers because they are packed with nutrition. They help provide a nutritional balance to meals that don't contain a concentrated vegetable protein in later courses. Additionally, people who don't normally (or don't normally care to) eat beans usually don't notice they are eating beans when they are pureed into a dip or pate with other flavors. Serving Ideas: Spread on rice cakes or crackers. - This dip is easy to prepare ahead of time, and will keep in the refrigerator, providing nutritious snacks and appetizers, for a week (if it lasts that long). As with most bean dips/ pates, this also freezes well so I like to make large batches for use over one or more months. - Even with the use of Tahini, this dip is still low in fat because small red beans like adzuki beans are often very low in fat (as opposed to garbanzo beans which have 2o times more fat than adzuki beans). Add all ingredients to a food processor (or blender) and blend until smooth. Serve immediately, or refrigerate and serve, or to integrate flavors completely, pour mixture into a earthenware casserole dish (with cover), and bake at 25o degrees F (12o degrees C) for 1 to 2 hours, then refrigerate and serve. Note: For every 3 cups of cooked adzuki beans, you could eliminate the flax oil and reduce the tahini to 2 tablespoons, and in this case, the result would have less than 15% of its calories from fat. 1 Serving = 3 Tablespoons. - Use any type of nut or seed butter in place of the tahini. - Use different types of seasonings such as: spices, herbs, mustard, vinegar. - For a more elegant presentation, serve the dip in filo cups (see "Glossary of Ingredients" for instructions - note that filo contains gluten, so if you are avoiding gluten, use another presentation method). These can either be made small for individual servings, or large for including on a buffet table. 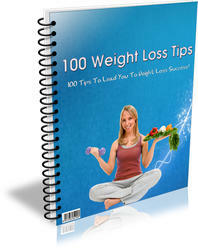 Make a plan If you want to lose weight, you need to make a plan for it. Planning involves setting your goals both short term and long term ones. With proper planning, you would be able to have an effective guide on the steps that you want to take, towards losing pounds of weight. Aside from that, it would also keep you motivated.